Saborea Lanzarote, which translates to Tasting Lanzarote have announced the dates of their food festivals to be held on the island. In 2019, the event will be on 6th and 7th April from 1800 to 2300 on the Saturday and from 1100 to 1600 on the Sunday. This popular concert is normally held in the wine region in June. The wine run which attracts around 2,000 walkers & runners and is held in Mid June in Uga and Mancha Blanca. 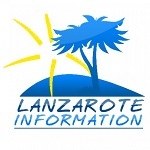 The 2019 Wine run will be on 15th and 16th June, full details here: Lanzarote Wine Run. This is the biggest food event on the island, and attracts visitors who book holidays around the dates for some winter sun. The annual food festival in La Villa de Teguise and is generally in November. Contact us for a holiday quote if you’d like help planning a holiday around one of these events.